When there is moisture in the crawl space, it’s only a matter of time before it starts to cause a lot of serious damage in the home. This moisture can lead to wood rot, and this will ultimately lead to issues for the structural integrity of the home, as well as leading to the possible infestation of termites and roaches. Additionally, when left untreated, this seepage can lead to the development of harmful mold and bacteria which can make the inhabitants of a home very sick, including any pets. As a homeowner, you must realize how important it is to prevent moisture problems in your crawl space. The best way to do so is to get in touch with a local crawl space repair professional in your area. We work with the best of the best around the country, and they will easily be able to assist you with whatever kind of moisture or humidity problem you are experiencing below your home. On our site, homeowners are able to enter their zip code to find a local hometown crawl space repair and waterproofing professional. 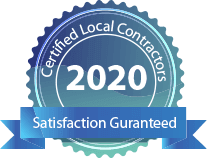 We guarantee that all of our contractors have the skills, experience, knowledge, and tools needed to diagnose crawl space problems and get them taken care of quickly and permanently. These professionals will be able to provide you with a FREE estimate and inspection of your crawl space, and they will then walk you through the necessary repair work.